Be sure to catch them on their West Coast Tour right NOW!! The Warrior, his family was killed in the first siege of the Doomed. Mortally wounded, he dragged himself into the magical ancient Forest where he was blessed by the Dryad of the Elder Wood to become the protector of the natural world. The Wizzerd, the evil ruler who has usurped the throne from its rightful king. He is the mastermind behind the devastating plague known as “The Doom.” His lust for power, driven by Kæos, has lead him to use his powerful crystal talisman to rob the people of the world of their souls, giving him magical power beyond comprehension. 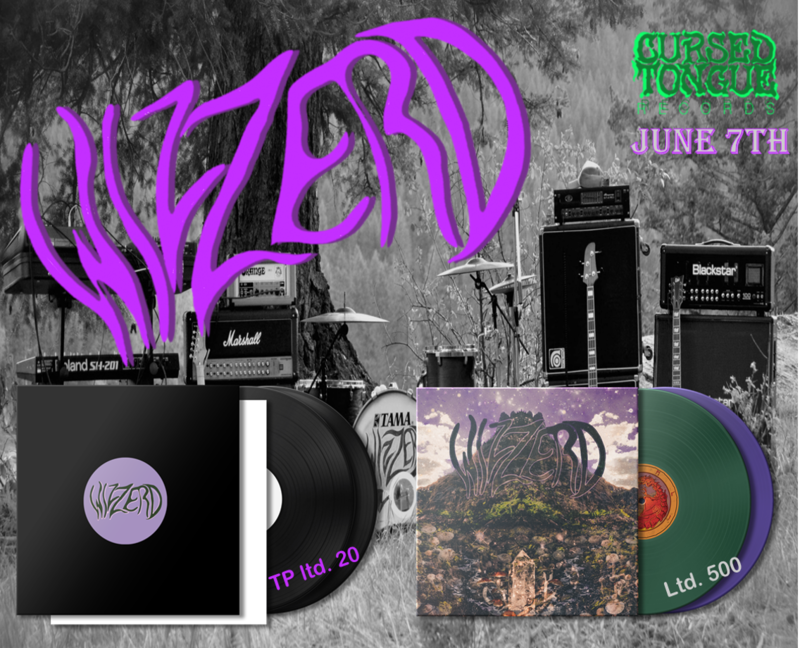 Wizzerd’s stoner/doom juggernaut is back on the road and burning up serious rubber. Pick an 8-digit code, any code and enter it at the links below. If it’s taken, try the next one. They will go fast so act fast. It helps promote further if you click the “add to collection” box and make sure you’re logged into your free account. Also be sure to download from the link it takes you to or the email that comes when you have an account in your choice of format including mp3, WAV, and FLAC for all you audiophiles out there.